Hybrid Camera Revolution: Panasonic VariCam 35 4K RAW Camera/Recorder Announced! 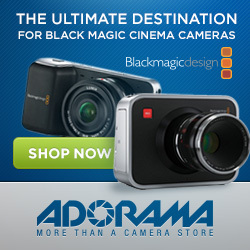 Panasonic VariCam 35 4K RAW Camera/Recorder Announced! Finally! Panasonic comes up with a follow-on large sensor, interchangeable lens camcorder and enters the Super 35 game with a 14 stop 4K RAW modular camera and recorder. The Press Release (link below) says, "Ultimate Image Production for Cinema or Episodic Drama". The price is still TBD, but sources say it will be over $10K. It had better not be much over $10K if Panasonic wants to be competitive with the newly marked down $20K Canon C500. The recorder can also be matched with a new VariCam HS 2/3" camera head for broadcast. Both cameras will have 4 card slots - 2 for full size P2 cards, 2 for microP2 cards (the same cards used by the GH4). A lot has happened in the four years (!) since Panasonic shook up the camcorder world with the first-ever large sensor interchangeable lens camcorder under $10,000, the AG-AF100 . With the passage of time, it may be a little difficult to remember how revolutionary this camera was - especially in the wake of successive rollouts of Super 35 interchangeable lens cameras from Panasonic's competitors - the Sony FS100 , F3, FS700 ; quickly followed by the Canon Cinema EOS Line; the Sony F5/F55 and, most recently; the $2995 UHD Blackmagic Production Camera. 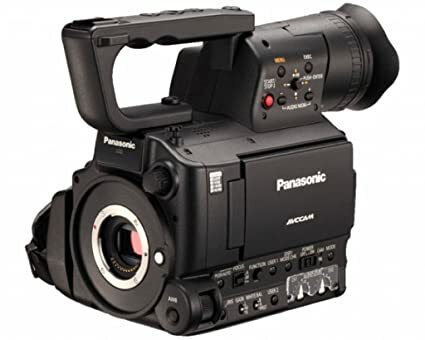 The VariCam 35, with its true 4K/120fps and HD 240fps slow motion, wireless capability, and other unique features is clearly a bid to regain Panasonic's leadership in the large sensor camcorder world. If Panasonic can make this camera price competitive with the C500, it is likely find its way onto lots of movie and TV sets. If Panasonic RAW color is anywhere close to ArriRAW, it may even find itself competing with the big dogs. Welcome back, Panasonic. Here's the Press Release.